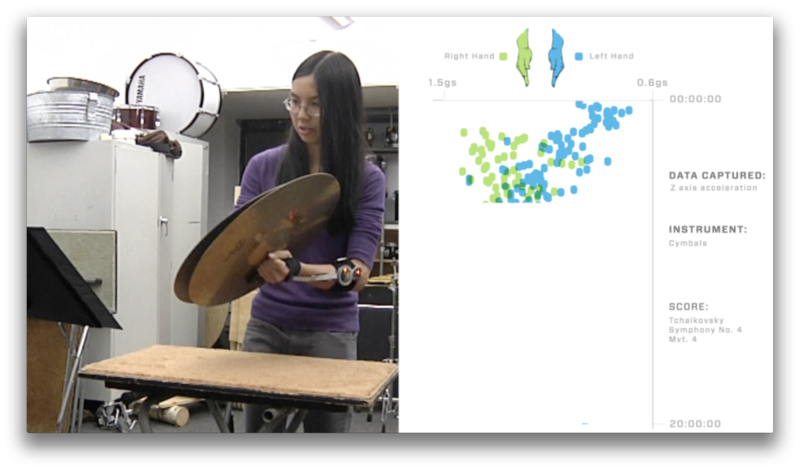 Together with my collaboration partner Ross Leonardy, we designed and developed a pair of wireless, sensor embedded gloves to visualize and capture data from an orchestral percussionists movements. The process started with user research via the Baltimore Symphony Orchestra and proceeded with prototyping, testing and iterations. 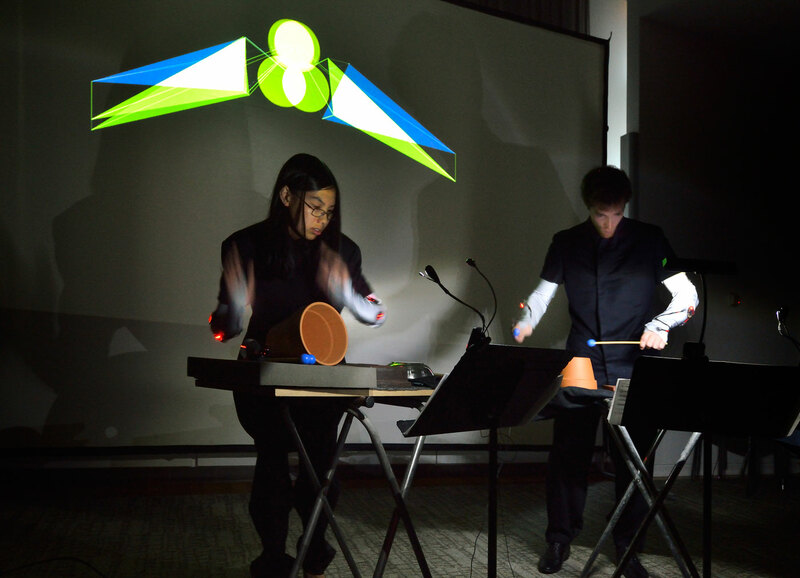 The project concluded with a live public performance pictured below. The Baltimore Symphony Orchestra and its Music Director Marin Alsop have challenged students from Parsons The New School for Design – http://www.newschool.edu/parsons – and its sister school, Mannes College The New School for Music – http://www.newschool.edu/mannes – to envision the future of orchestral performance. The resulting work debuted in an event that brings together music, fashion and technology in new and innovative ways. 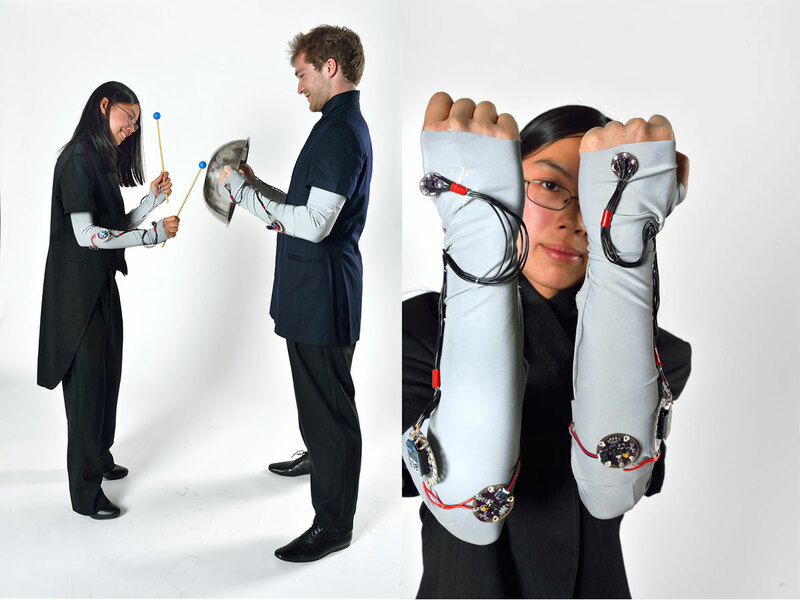 The yearlong collaboration is led by Parsons faculty members, fashion designer Gabi Asfour of threeASFOUR and wearable technology designer Sabine Seymour, with support from Richard Kessler, dean of Mannes College. 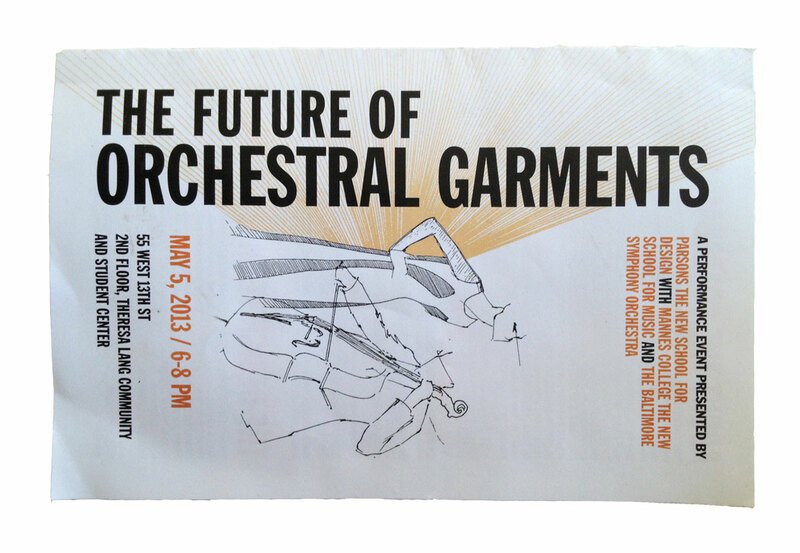 The fashions, designed by students in the Integrated Design program at Parsons, bring together new and vintage garments to create performance wear that is sustainable and responsive to the way musicians move and play. 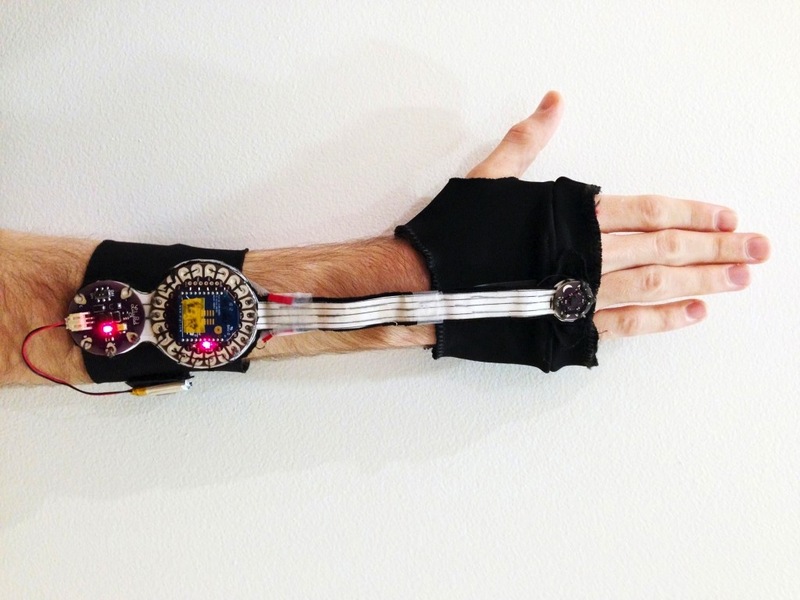 Wearable technology, designed by students in the School of Art, Media and Technology at Parsons, is being incorporated into several of the looks. This technology will demonstrate how the performance itself can be enhanced by new means of visual expression, with the garments and performance space itself serving as a canvas for motion and sound-activated digital projections.